Are you looking for the right beauty school in Kennesaw? Look no further than Cobb Beauty College! Once you’ve decided that going to beauty school is the right option for you, you have to make the most important decision of all — which cosmetology school to attend. 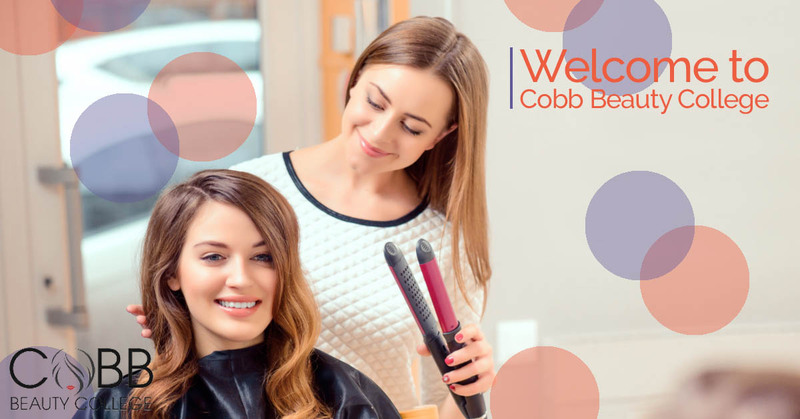 At Cobb Beauty College, we are proud to be your premier beauty school in Kennesaw, and we are dedicated to helping you get your career off the right start. Why choosing the right beauty school is so important. The cosmetology college you choose not only affects what you’ll learn and how well you’ll get through your licensing examinations, it also affects your future career in cosmetology, and it’s not a decision you’ll want to take lightly. At first glance, it may seem like all beauty colleges offer the same programs and benefits, but when you take a closer look, you’ll see stark differences in everything from classroom settings to instruction styles. If you don’t put in the proper time and research into picking a school, it won’t be easy to distinguish between schools, and it increases the likelihood of picking the wrong school. What makes Cobb Beauty College the best option? At Cobb Beauty College, we are dedicated to helping you prepare for a successful career in cosmetology. Our cosmetology college was established in 1980, and we’ve had the honor of helping many students kick-start their careers. We hold national accreditation through the Council of Occupational Education; we have approval through the U.S. Department of Education; and we’re licensed through the State of Georgia. To help you find the perfect cosmetology career for you, we offer two different programs: the Cosmetology Program and the Instructor Training Program. As a cosmetologist, you’ll need to be skillful and knowledgeable in a variety of beauty treatments, from hair styling to skin and nail care. That’s why our cosmetology curriculum goes beyond haircuts and styles to provide you with the skills you need to perform a variety of beauty services. In addition to providing you with the knowledge and skills you need to become a well-rounded cosmetologist, we’ll also train you on the other aspects of the job, such as salon management and social skills improvement. Our 1,500-credit hour cosmetology program is comprehensive and helps to prepare you for all areas of your future cosmetology career. Do you have a passion for cosmetology and a passion for teaching? If so, then our Instructor Training Program may just be the perfect option for you. This 900-hour program was designed to provide you with the knowledge and skills you need to become an effective cosmetology instructor. This program is heavily focused on the development of communication skills and clarity, which will allow you to provide your future students with creative, personalized approaches unique to meet their individual needs. We’ve broken our course up into three levels to best prepare you for your new career: General Education, Teaching Techniques and Practice Teaching. Our programs are designed to help you pass your exams and achieve your goals. At Cobb Beauty College, we are proud to say that we are committed to helping you not only get through our cosmetology programs but also helping you pass your state licensure examination. Our instructors are the best at what they do, and throughout our program, you’ll be exposed to both high-quality instruction and real-world experience. Through our approach to cosmetology training, we’ve achieved a 100 percent placement rate, as well as a 100 percent licensure exam pass rate. Once you’ve passed your examination and graduated from our program, we’ll go one step further than most other beauty schools by helping you find the right career for you. We offer a variety of career services, and we’ve developed relationships with dozens of local salons to give you the leg-up you need to turn your cosmetology training into a career. Are you ready to kick-start your career in cosmetology? If so, it’s time to turn to Cobb Beauty College, your premier cosmetology school in the Kennesaw area, Georgia and the whole southeast. If you have questions or concerns about our cosmetology programs, financial aid, accreditation, FAFSA, tuition or anything else, we are always happy to help. Contact us today!